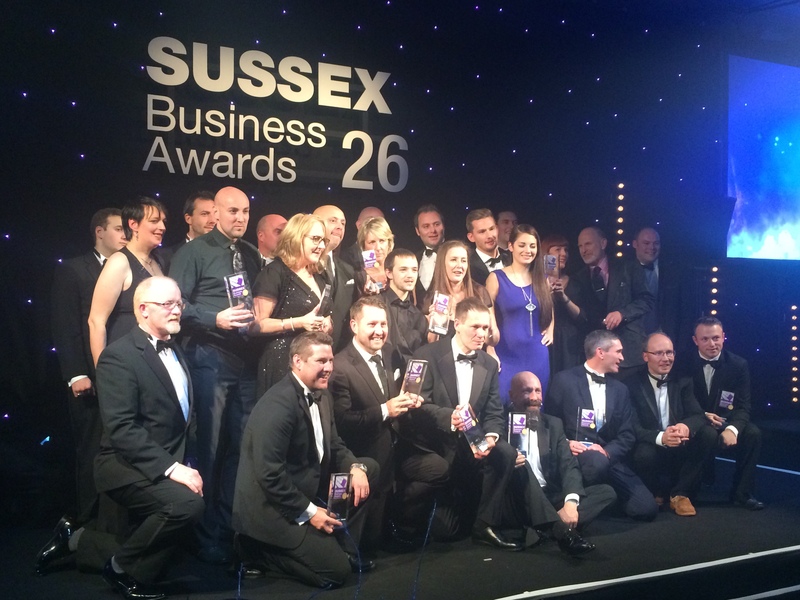 The best of the county’s businesses were celebrated at the 26th Sussex Business Awards on the 10th December. About 500 leading business people gathered at The Grand Hotel in Brighton, with 16 awards presented by Hove comedian Simon Evans. 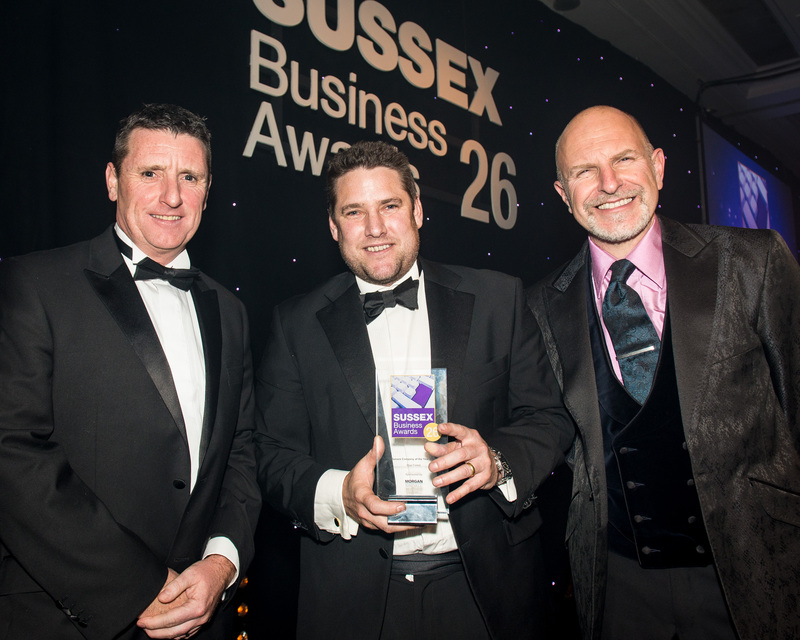 Blue Forest are delighted to have won the prestigious Sussex Company of the Year Award. Alternatively click here to email us, download our digital brochure or order a hard copy. Great craftsmanship! We particularly love the beautiful owl finial. We were very impressed with the team. They were very polite and knowledgeable and keen to help to enable the build to run as smoothly as possible. They also left the site very tidy. Such a lovely team. We thoroughly enjoyed having them here. It is rare to work with a company which delivers on time, within budget and with such quality execution. Please extend my thanks to the whole team. Great work. Great team, all very professional and happy to talk through any point of concern. The whole team was responsive, hardworking, tidy, discreet, industrious, thoughtful and fun. We are delighted with the finished treehouse. The willingness to accommodate our changes without complaint and the clear desire to deliver a fabulous product with a smile on your faces has been a revelation – very refreshing in this day and age! [Comments regarding reliability, integrity and professionalism…] 100 + 10% on all fronts! The completed tree house fulfils all our expectations. 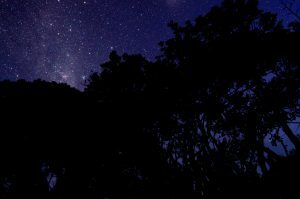 It has achieved a mystical and exciting appearance and is a pleasure to share with all who see it. We cannot speak highly enough about the installation team. Their work was of the best quality and attention to detail was second to none. The long hours and client care put in by them was amazing. 2018 is set to be a very exciting year at the Farncombe Estate. Buccleuch have had an exceptional visitor response to the Dalkeith Country Park ‘Fort Douglas’ development, in terms of numbers, revenue and enthusiastic customer feedback. The Blue Forest team worked with a complicated and technically challenging site, to a competitive price and a compressed programme; all with professionalism and creativity. A great product. If my grandchildren are anything to go by, the Tree House and Adventure Playground will be top of everyone's must visit list this summer. The children and parents are talking about it, because it is different and the building has made the 'statement' that I hoped that it would. It is so beautifully constructed, the moment the doors are opened and that lovely wood smell emanates from inside is delicious. The Blue Forest team are very easy to work with, they are professional and friendly and quickly understand what the project requirements are. In regard to work ethic, Blue Forest are top class. They get the job done without excuses. 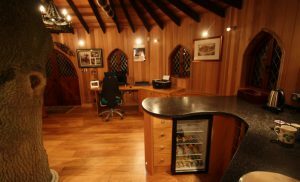 The tree house is fantastic and is everything we were hoping it would be. It fits into the landscape perfectly. The design and finish has perfectly translated the brief and vision. We love it! I cannot fault anything. The team were a total delight and their workmanship and professionalism were first class. We are thrilled with the result! We are very pleased with the design and realisation of the tree house, which is even more beautiful than we thought it might be. It was thrilling to see the vast slide tower now complete and the Giant Nest looking majestic and imposing! The new bridge over the Giant Nest gives a scale of immense grandeur which is wonderful. We always wanted the tree house design to be inspirational and sustainable and an education in itself. Now we have the reality, it is more amazing than we could have imagined! This revolutionary design will accommodate the activities of children all around the country. We are delighted that so many people will be able to experience the wonders of the National Park in and around this amazing building. It is far too nice for the kids, I'm thinking about moving in myself! If you want to get the kids out the house and playing in the great outdoors then there really is nothing better than a tree house. It looks fantastic! Even lovelier than we imagined. A beautiful job, thank you! Blue Forest will work hard to understand your brief and continue designing it in an open and collaborative manner until the brief is met. The product is everything we were promised & more. The attention to detail is extraordinary & the craftsmanship really immaculate. We cannot praise the whole process & the finished product highly enough. Thank you! Everyone who has seen [the tree house] has been mightily impressed. It will be a great asset for years to come. A highly professional team: very skilled, hard-working, creative at solving problems and a pleasure to have working for us. They left the garden in good shape when they had finished. We'd be happy to have them work for us again and highly recommend them. It was a great pleasure to be invited to officially open the Woodland Retreat. I hope that it brings significant benefits to the young people who will use it and that it will help them to regain confidence in themselves. The Blue Forest scheme was innovative from the outset and was particularly desirable because it was so unique and appealing to a number of markets. The new Eco Classroom looks amazing, and I'm sure the school will get a lot of use out of it. The structure and steps appear very solid and the cladding helps it to blend in well with the surroundings. If I closed my eyes and opened them, this is exactly what I had in my mind. Thanks to Peter for the trunk in Jordan's tree house. It's great and very much appreciated. Thank you so much, we are very happy with your work and it's a beautiful bridge. Cliff Richard, an old mate of mine and a garden fanatic, saw one at the Chelsea Flower Show and told me it was just what I needed for my new place in Surrey. It’s somewhere wonderful for us to hide away and get some peace. Best team of workers we have ever had, 100% professional, friendly & reliable. The treehouse is the envy of everyone, every last detail absolutely perfect. It was a big investment to make but the finished treehouse really feels like an investment and not an expense. I am very pleased with the treehouse and it looks great. It has been a pleasure to have the boys work on it, they are all very professional. The finished treehouse is amazing as it blends in with the whole woodland and is like stepping into another world. I’d like to thank you all for all your hard work over the past 6 months. [The treehouse] looks great and we have a lot of happy children... mission accomplished. We are thrilled with Cherry Treehouse, and it is set to become an enchanting place of wonder, creativity, and reflection for generations of Feltonfleet children in the future. Blue Forest have delivered exactly what they promised, and more, and we are enormously grateful to them. It has proved so successful we are quite staggered by its popularity. From my team point of view I've found working with your company to be an easy, hassle free experience with an excellent end result and happy client. Can't say better than that! As opportunities arise I would be happy to use you again. This facility will enable classes to undertake fieldwork in the School grounds and will greatly enhance many aspects of the curriculum as well as providing a facility for use by local schools. Great TV programme guys and nice work - what brilliant treehouses. The judges were simply blown away by Blue Forest – truly a world leader in its field with a very exciting future. The success of the Woodland Retreat is substantiated by a reduction in the length of admission by 10 days, an 8.5% reduction in self-harming incidents, and a 65% reduction in the incidents of violence and aggression. The young people who use our services said they wanted a place that was totally different from the clinical surroundings of the ward, which prompted the development of the Woodland Retreat. Many of the young people who access our services have had poor life experiences and we hope that the retreat will help to build their confidence and make them feel valued. We were particularly impressed with the imagination shown by the trust in recognising how a very challenging, sloping site could be redesigned to provide such a stunning, interesting and engaging space for young people.